Istria County (; Croatian: Istarska županija; Italian: Regione istriana) is the westernmost county of Croatia which includes the biggest part of the Istrian peninsula (2,820 km2 (1,089 sq mi) out of 3,160 km2 (1,220 sq mi), or 89%). The area of the county is called Istra in Croatian and Slovene. The county administrative center is Pazin and the regional anthem is "Krasna zemljo". The caves near Pula/Pola (in latinium Pietas Julia), Lim fjord, Šandalja and Roumald's cave, house stone age archaeological remains. Less ancient stone age sites, from the period between 6000-2000 BC, can also be found in the area. More than 400 locations are classified as Bronze Age, (1800 - 1000 BC), items. Numerous findings including weapons, tools, and jewelry), which are from the earlier iron era around the beginning of common era. The Istrian peninsula was known to Romans as the terra magica. Its name is derived from the Histri, an Illyrian tribe who, as accounted by the geographer Strabo, lived in the region. Romans described them as pirates who were hard to conquer due to the difficulty of navigating their territory. After two military campaigns, Roman legions finally subdued them in 177 BC. With the fall of the Western Roman Empire in 476, Istria was conquered by the Goths, and then by the Byzantines. During Byzantine rule, it was shortly ruled by Avars. Istria was annexed by the Lombards in 751, by the Avars in 774 and then by the Franks during the reign of Charlemagne in 789, then successively controlled by various dukes, (Carinthia, Merano, Bavaria), and the patriarchs of Aquileia. In 1267 the Republic of Venice annexed the western and southern coast of the Istrian peninsula because of the strong presence of the autochthonous Italian community; it is in this period that the region prospered. The major Istrian cities were reborn under Italian government, and it was in this half millennium that they developed their typical beauty and atmosphere. The eastern half of Istria was administered by the Habsburgs, and was referred to as "Imperial Istria" with its capital at Pisino (German: Mitterburg). In 1797, with the Treaty of Campo Formio written by Napoleon, the peninsula, with the whole Republic of Venice, passed to the Habsburgs of Austria. The Treaty of Pressburg in 1805 handed Istria to the Kingdom of Italy. The Treaty of Schönbrunn in 1809 transferred Istria to France. In 1815, the Congress of Vienna confirmed Austria's possession of the peninsula. Starting in 1861, the capital of Istria and the seat to a Regional Parliament in Austro-Hungarian Empire was in Parenzo (today: Poreč). 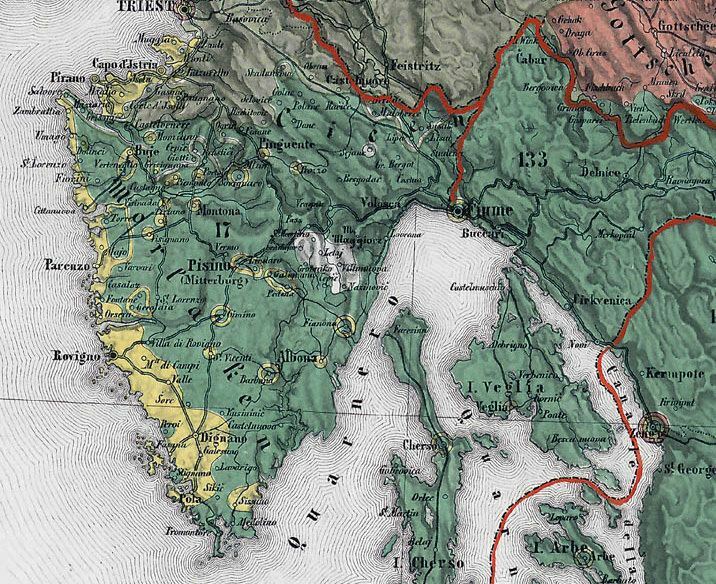 After World War I, according to the peace treaty of Rapallo, in 1920 Istria became part of Italy. Fascism and, later, Nazi occupation spoiled otherwise tolerant ethnic relations. After World War II, Istria was assigned to Yugoslavia and many ethnic Italians left in the Istrian exodus. Famous individuals like Robert Koch and writer James Joyce lived and worked in Istria. Writer Jules Verne was inspired to write his novel Mathias Sandorf after hearing of quarry and cave in Pazin and the poet Dante Alighieri visited and wrote a few lines about Istria. Its coastline is 445 km (277 mi) long with islands making up 539.9 km (335 mi). A smaller part of Istria also belongs to the Primorje-Gorski Kotar County of Croatia. Mirroring the bay of Venice across the Adriatic and the Quarnaro Gulf, the region is not far from the Julian Alps (Alpi Giulie/Julijske Alpe). The westernmost point is at Savudrija while the southernmost is near Premantura, on the local promontory Kamenjak. The terrain consists of a limestone plateau, much of which lacks water owing to its karst topography. The northeastern section is an extension of the Dinaric Alps. The highest point is Vojak on Učka mountain 1,401 m (4,596.46 ft) above sea level while another range of mountains is Ćićarija. There are so called "bijela", "siva", "crvena" Istra, (white, grey and red Istria). White Istria is around the mountain peaks, Grey Istria is the fertile inner lands while Red Istria is the blood-red painted lands of terra rossa or "crljenica" near the coastline. Sites such as the Grotto of Baredine near Poreč, the underground river Pazinčica and the karst Pazin pit (Pazinska jama) near Pazin are popular geologic attractions. The Limski Kanal is the only fjord resembling structure in continental Europe outside of Scandinavia (actually it's not a fjord, but a ria). The quarry near Rovinj/Rovigno d'Istria is specifically designed for studying geology. The longest river, the Mirna, is only 32 km (20 mi) long with its mouth near Novigrad/Cittanova d'Istria. Other rivers that pass through Istria include the Dragonja River and Raša River. The continental plains and valleys, are primarily utilized for agriculture, such as growing cereals and vegetables. Closer to the sea, red lands are used for cultivation of grapes, vine, olives and figs. Agriculture and the production of ecological food, the olive gardens, and the production of quality wines, is the focus of Istria's agriculture sector. The coastline and nearby islands are rich in the maquis shrubland (mostly holm oak and strawberry tree. Woods, mostly oak and pine trees, cover a third of the territory. 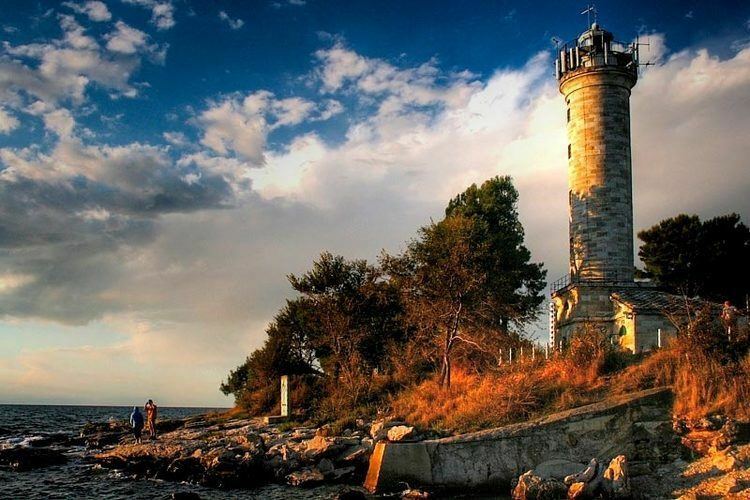 The well-known natural reservations national park Brijuni and nature park Učka are legally protected landscapes. This mountain range fed the rivers and lakes in the eastern side of Istria all the way to Croatian: Rasa / Italian: Arsa river in the Croatian: Labinština peninsula. Other interesting localities are Lim Kanal, wood near Motovun, park woods Zlatni Rt and Šijana near Pula, protected landscape Kamenjak in the extreme south of Istria, the reservation Palud, (ornithology), near Rovinj. Brijuni archipelago is interesting as the habitat of about 680 plant species, also decorated by the most diverse vegetation and olive groves. Protected from the north by the mountain chain of Alps as well the inner highland, the climate is Mediterranean, very pleasant, with the highest air temperature averaging 24 °C during August and lowest averaging 5 °C, in January. Summers are usually warm during the day and cooler near the evening, although strange heat wave patterns are common. The weather also ranges from humid to dry with over 10 hours of sunshine daily. Primarily, there is a lot of moisture in the air, especially in the coastal towns of Istra such as Poreč, Vrsar, Rovinj, Pula and others. Temperatures above 10 °C last for more than 240 days a year. Excessive heat (above 30 °C) lasts for three weeks at most. Despite air temperatures being lower than those of in Dalmatia, the Adriatic sea is warmer, reaching up to 26 °C in August, coldest in March, (9-11 °C), while the freezing even in small, shallow bays is very rare. Two kinds of winds are here - the bora is bringing cold and clear weather from the north in winters, and the southern jugo (jug=south) bringing rain in summer. Maestral is the summer breeze blowing from the inland to the sea. The salinity of the sea water is 0.37%. According to 2011 census total population of Istria County is 208,055 which amounts to 4.85 percent of Croatia's entire population. Population density is 73 inhabitants per km2, with an average age of 43 years. Besides official Croatian, the Chakavian dialect of the Croatian language is often in use, as in most coastal counties. Italian is also recognized in the county as official language. Before World War I and until World War II, Istria contained a large autochthonous Romance language speaking community consisting of Venetian dialects, Istriot and Istro-Romanian along with Italian, plus various local Slavic dialects, some of which were likewise unique to Istria. Today, apart from the local dialects and the official Croatian language, one still finds in this region a small community of people, the Istro-Romanians, who speak the ancient Istro-Romanian language, an ancient dialect of Romanian, other districts where Venetian dialects and Istriot are still spoken. 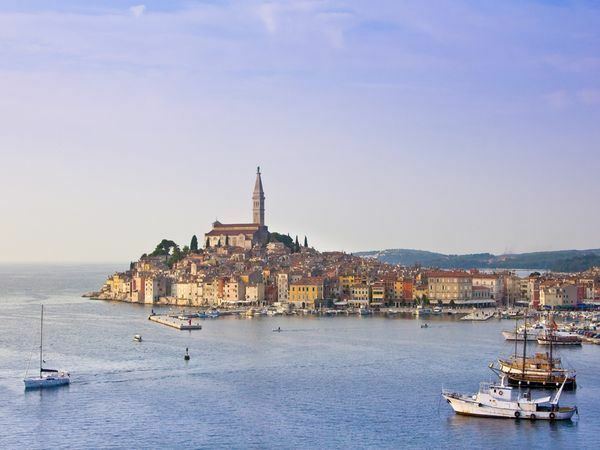 Due to its traditional bond with Europe and its level of international integration, in 1994 Istria County was the first Croatian region to become a member of the Assembly of European Regions. Istria is well connected with the rest of Croatia and Europe. Due to its connection with a wider European area, road development suitably covers all needs and contributes to a balanced development of the coastal area and the Istrian interior. Croatian Istria County's highway system is callen "The Istrian Y". Highway A8 connects the county to the rest of Croatia from Rijeka/Matulji (A7/ further A6) interchange through Učka Tunnel to Kanfanar interchange, and highway A9 connects Pula via Kanfanar to Umag, connecting the county to Slovenian Istria and further to Italy. The only significant airport with scheduled commercial service is Pula Airport. Large majority of flights are only seasonal. Well-developed are processing industry, with traditional agriculture, sea fishing and growing, construction and production of construction materials (lime, cement, brick, stone), trade and transport. Most developed branches of industry are shipbuilding (In the early 1970s its shipyard Uljanik was building the biggest ships in the world as Berge Adria and others), metal processing, wood industry, furniture industry, automotive components industry, electric machines and appliances industry, glass, plastic, textile, tobacco industry. According to economic indicators, the leading activities are processing industry, tourism, and trade. 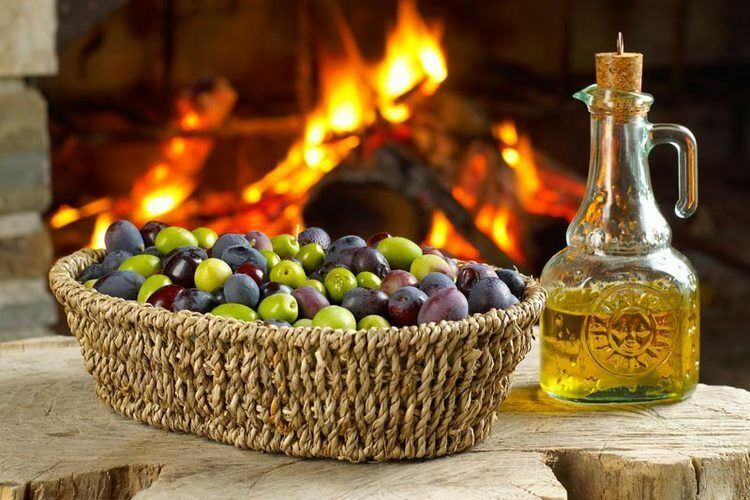 Great attention is being given to agriculture and the production of ecologic food, the wine and olive growing. Historically cultivated local wine varietals include Malvasia (white) and Teran (red). Organized tourism in Istria goes back to the Romans, when emperor Vespasian, for the entertainment of that time, built the amphitheater (Arena) in Pula/Pola. During the reign of Austro-Hungarian Empire in (1866), Austrian and Hungarian royalty and aristocracy started visiting local resorts and discovered Poreč/Parenzo. Significant efforts were made after World War II to develop the tourist infrastructure and to accentuate its importance. In combination with the natural beauties, rich history and cultural heritage, investments paid off and resulted in highly developed, competitive service all along the western coast in Poreč/Parenzo, Pula/Pola, Rovinj/Rovigno d'Istria, Umag/Umago, Novigrad/Cittanova d'Istria, and Vrsar/Orsera. One growing trend among the centrally located cities, especially Kanfanar/Canfanaro, is agritourism. Beginning with La Casa di Matiki in 1994 after the war, a number of eccentric agritouristic Bed and Breakfasts have sprung up in central Istria, providing opportunities for individuals, couples, and families to experience a very authentic Istrian experience while learning about the Istrian agricultural lifestyle. In the eastern part, as part of another county, there are resorts like Rabac/Porto Albona, Opatija/Abbazia. Istria was and still is the most important tourist destination in Croatia, hosting the western and central European visitors, mostly from Germany, Slovenia, Austria and Italy. Area is the most visited tourist region with 27% of all visitors and 35% of time spent in all of Croatia.